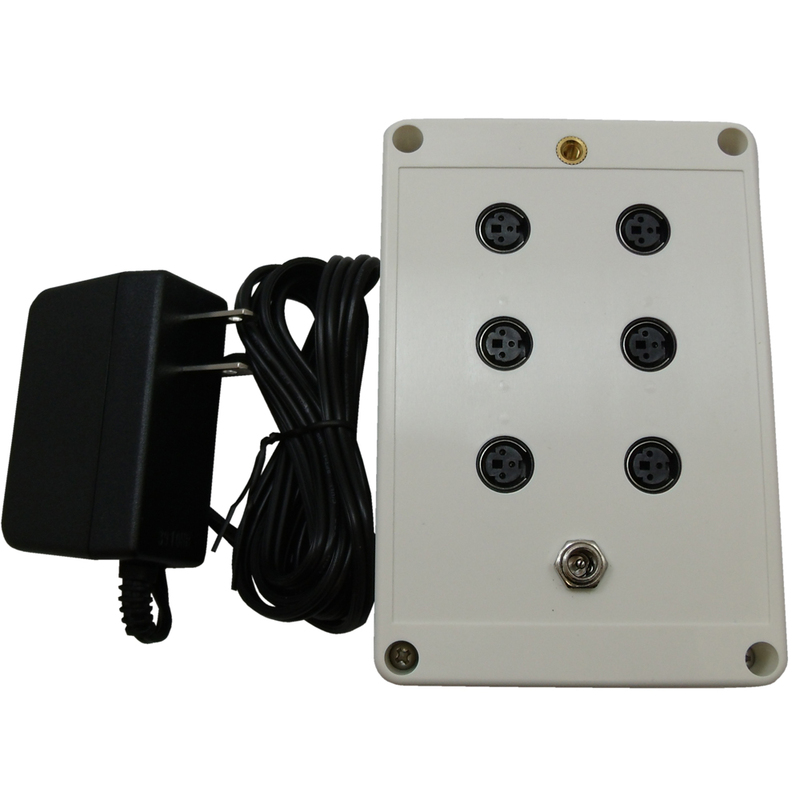 This AC power adapter can be used for either the Auto Faucet or the OneShot Automatic Soap Systems. Simply plug wall transforming into a standard wall outlet, then connect that to the 6-pack distribution box and you're finished. You are able to plug three OneShot soap dispensers and three Auto Faucet units into this 6-pack distribution box. Don't rely on batteries anymore when you choose to install this AC power adapter. Power cord is 6 ft. long and the single adapter cord is 3 ft. long.